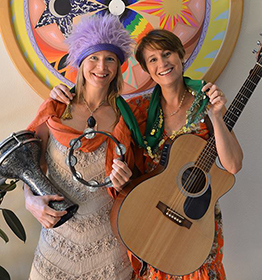 Bring a brown bag lunch and your dancing shoes for a live musical performance with the Savanna Duo, featuring musicians Liz Jones and Anna Christensen. Enjoy music that hops the borders of bluegrass to country blues in the Large Meeting Room of the Medford Library. Savanna’s music includes a strong emphasis on vocal melodies and harmonies as well as instrumental guitar and a solid rhythmic feel. The duo will perform reggae, country, blues, and popular songs from the 50s and 60s as well as Liz Jones’ original compositions.